Saury season has set in this year, too. Well, saury is available in supermarket and restaurant all year around. But many of saury except now is frozen meat. Getting saury at supermarket and eating it at home is good. But we can eat fresh saury at Tsukiji ! 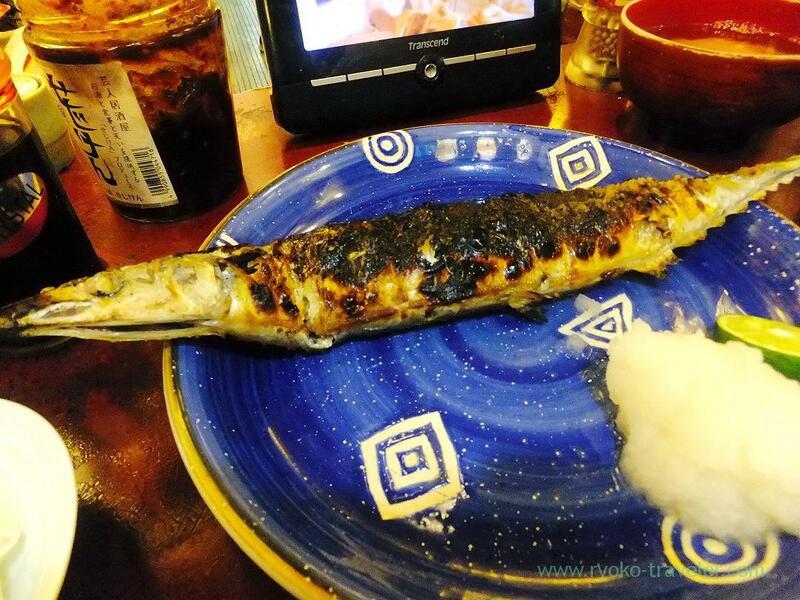 I heard that Yonehana often serve grilled salted saury this season, so I expected that I could eat it and went to there. Finally, I could eat saury at Yonehana !! Three years have passed since I visited Yonehana for the first time ! I hadn’t seen such a fatty and thick saury !! Its fat was sweet naturally !!!! I didn’t need any soy sauce though I always put soy sauce on my grilled salted saury ! And steamed chicken and boiled asparagus. Nice green ! Those asparagus was long ! 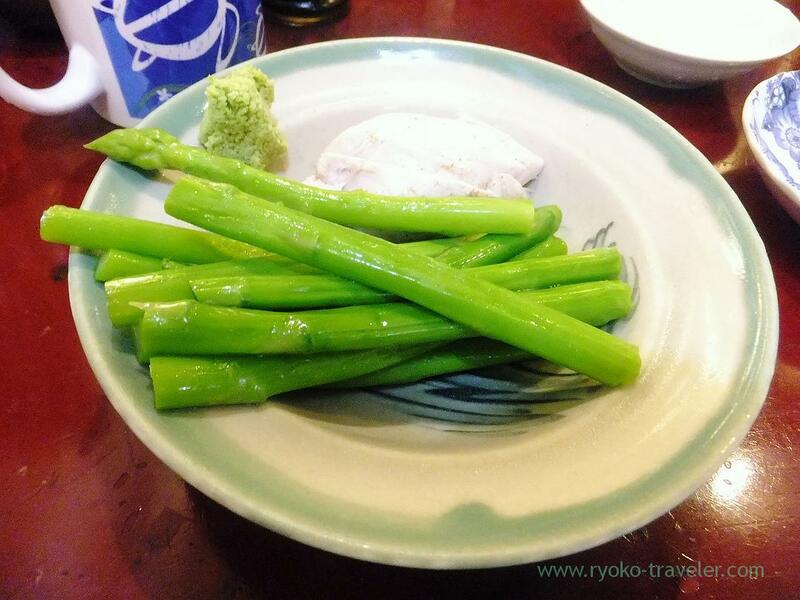 But, I like eating asparagus with mayonnaise, not wasabi ! Why wasabi ! 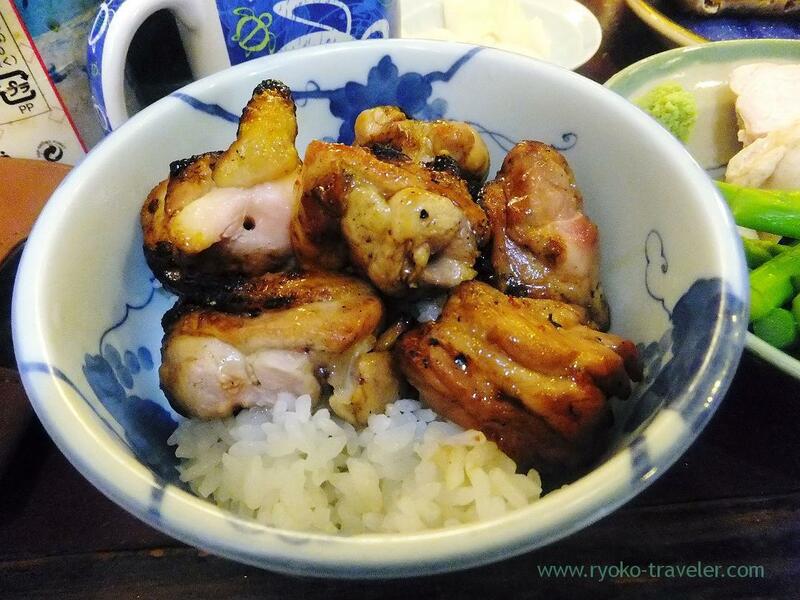 I heard that Yonehana couldn’t get good chickens suit yakitori for a long while and they finally could get them and cooked yakitori. So he seemed to be very glad. This yakitori bowl was terrific. The grilled salted saury was terrific. So, the asparagus, steamed chicken and pickled vegetable was in a state of neglect. I eventually couldn’t eat them because I was over-full.